This all-in-one charger is perfect for charging multiple devices during meetings in a boardroom or conference room. It gives you and your co-workers access to charging when it’s needed. 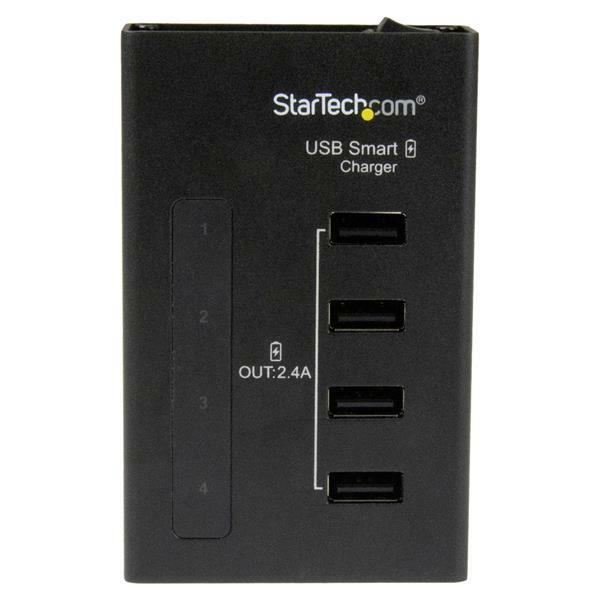 Plus, consolidating your USB devices onto a single multi-port USB charger offers a more efficient solution and saves space because you don’t need to use multiple wall outlets or power bars. 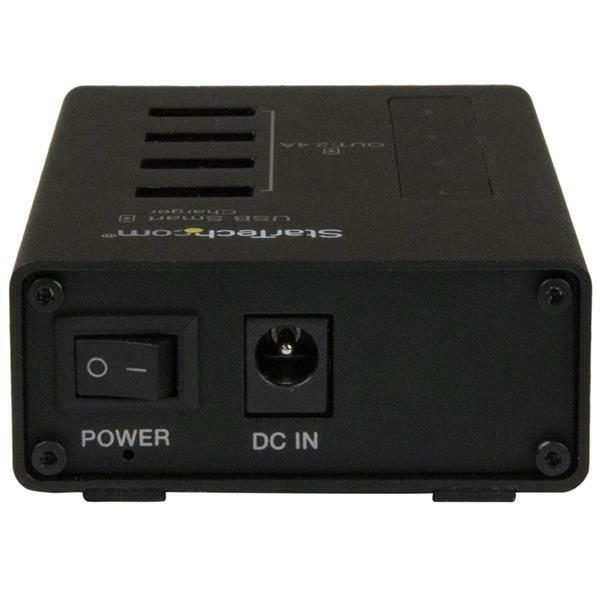 The compact, metal enclosure is extremely durable and offers an integrated on/off power button that turns all ports on and off for simple operation. For added flexibility, the charge station includes a bracket for wall-mounted installations. The USB charging station features built-in safety measures to ensure that all of your devices are protected against damage from overheating, overvoltage, overcurrent or short circuiting. 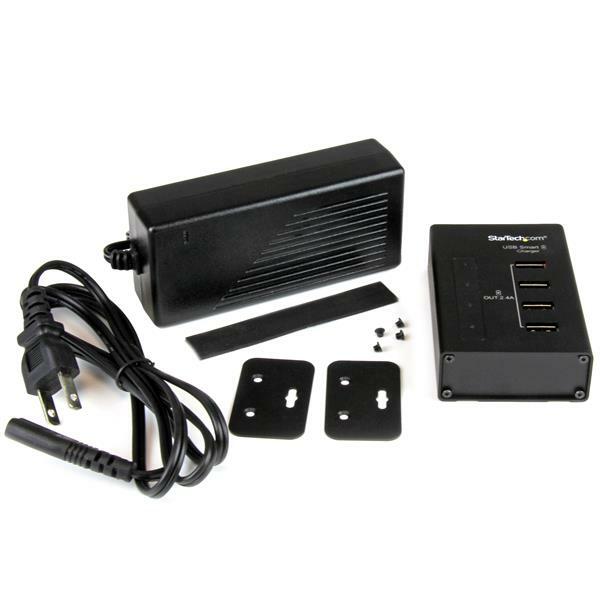 If the 48-watt limit is exceeded, the power being sent to the connected devices will turn off and the charger will reset itself until the load is reduced to safe levels. 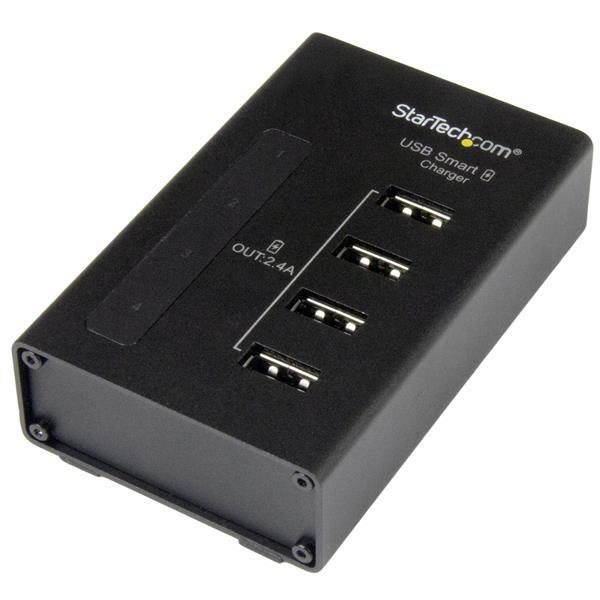 The ST4CU424 is backed by StarTech.com’s 2-year warranty and free lifetime technical support.